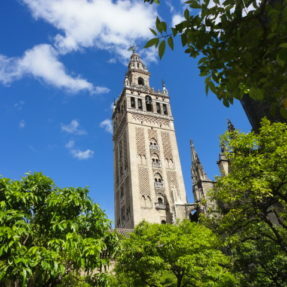 Madrid is the capital of Spain with many attractions to see. 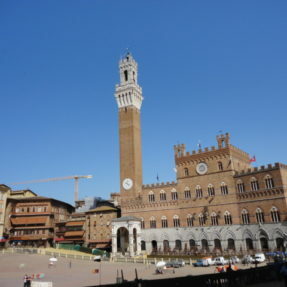 It is a great city and you might think that you do not have enough money to visit all the attractions. However, Madrid is not as expensive as London and there are many things to do free of charge. The Palaca Real, as it is known in Spanish is free to enter every Wednesday from 6pm. Be prepared to wait though as a lot of people have the same idea. Two hours is enough time to see everything in the Palace There is the armory room, a big courtyard as well as self guided tour through at least 20 rooms within the Palace. 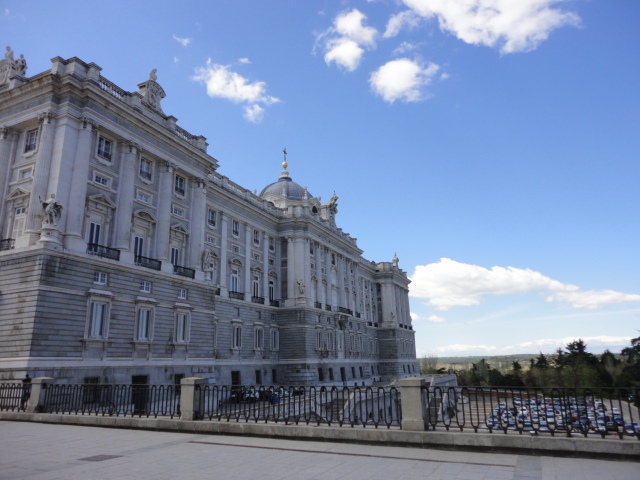 It is the official residence of the Spanish Royal Family but is only used for state ceremonies. 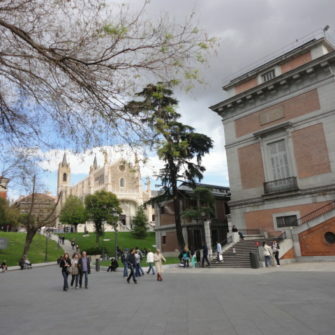 The Prado museum, one of the world’s most famous museums, is located in Madrid (20 min walk from Plaza Sol). I went there after 6pm as it is free every day 6 – 8pm. I started queuing at 6pm and we were in at quarter past. I am not the biggest fan of art museums but I have to say I was very impressed by the collection. It is home to some of the best works by Velazquez, Goya and El Greco. One thing I did miss was the trip to the underground vault containing the jewels that belonged to the Grand Dauphin Louis, son of Louis XIV. The Museo Nacional Centre de Arte Reina Sofia is the 20th century art museum in the centre of Madrid, right opposite the central train station. I went here after 6pm when it was again free entry. 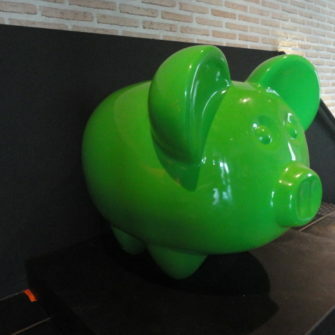 The museum is dedicated to mainly Spanish art and houses lots of work by Pablo Picasso and Salvador Dali. After 6pm it is free to enter and there was not a long queue. 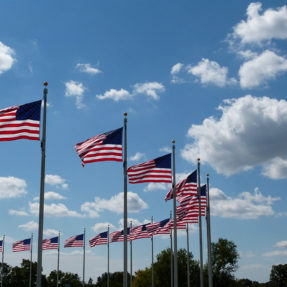 (But this does depend on the time of year you go). If you like modern art, visit the museum, but for those that prefer the classical paintings, I suggest go to Prado museum. I went here on an afternoon with a couple of classmates. 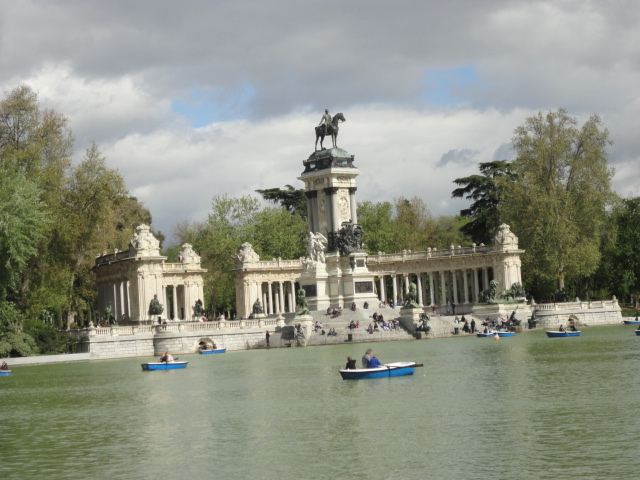 It originally was created as a royal park and was home to the Retiro palace. All that is left of the palace are just two buildings, one is the Museo del Ejército which is an army museum covering Spain’s military history. 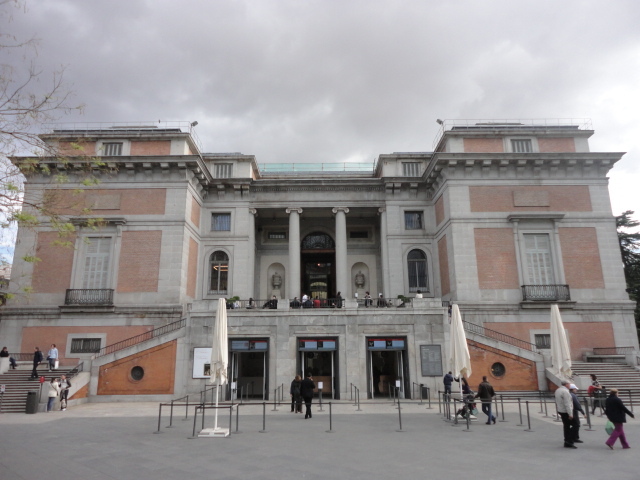 The other is a Casón del Buen Retiro which is a museum with a collection of 19th and 20th century paintings. I must admit, I did not go to either museums while I was in the park. I did go to the lake where people can rent boats and spend an afternoon relaxing, but I did visit the Palacio de Cristal which faces a much smaller lake. It was built by Ricardo Velázquez Bosco after the Crystal Palace in London. It is used for temporary exhibitions but when I went they were doing some refurbishment. I was fortunate to stay right by one of Madrid’s most famous and central squares. Pureta del Sol is always buzzing with tourists and locals alike. It is just down the road from Plaza Mayor. It once was the site of one of the city’s gates, facing east where the sun rises, hence the name – Sol. It very close to all the tourist attractions, just a few minutes walk to the Grand Via and all the other main shopping streets. Madrid was a very lively city and I was surprised by how cheap it was. A single journey on the metro was just 1 euro 50. 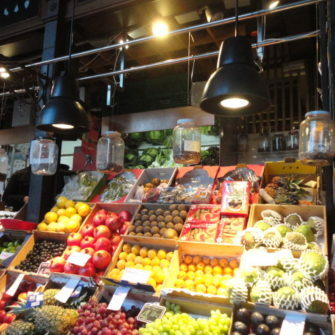 I went out for meals at tapas bars and did not spend more than 10 euros. It would be hard to find this in London. Interesting article and tips – as many tourists search for some free things to do in the cities they visit. 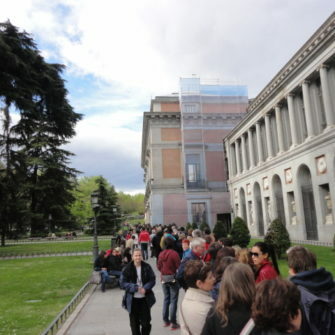 I had no idea that Prado Museum offers free access in the afternoon – interesting fact! Thanks Lori, Glad you like the blog. Great points Jo, I LOVE Madrid. 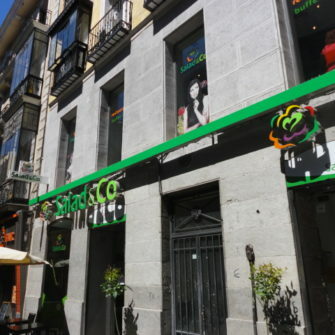 I’d also like to add that the area called “La Latina” is a great place to get cheap drinks and tapas. It’s where all the locals go and is especially busy on Sundays!!! Thanks Ben, glad you like the post. 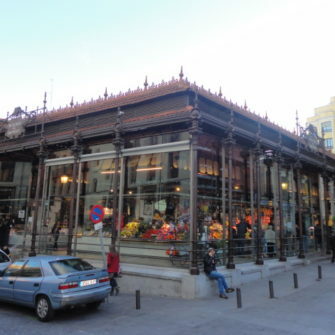 If you would like to write a post about Madrid, please let me know, would be glad to have it on the blog.